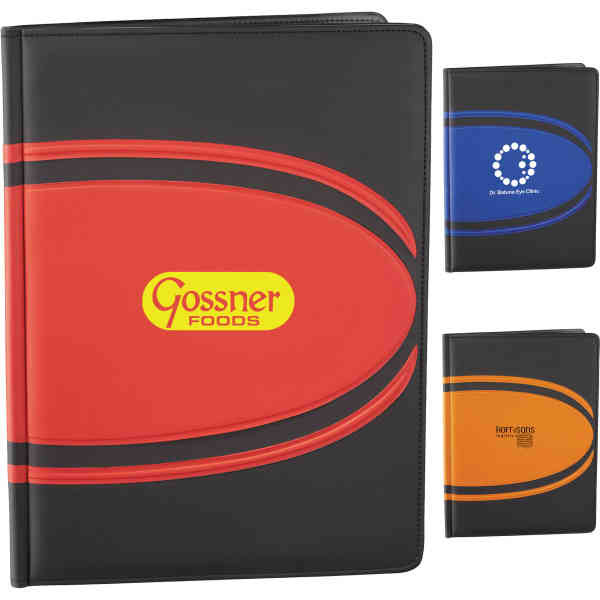 Imprint Method: ColorPrint - The Ovals Padfolio has an inside cover panel that contains a document pocket and two business card pockets. It also features an elastic pen loop and refillable, 30 ruled page 8.5" x 11.5" notepad. A pen is not included. Size: 12.75 " x 9.5 "